See more objects with the tag graphic design, advertising, black and white, tool, sun, monogram, self-promotion, radiating, graphic designers. This is a Postcard. It was designed by Stefan Sagmeister. It is dated 1986 and we acquired it in 2000. Its medium is printed card stock. It is a part of the Drawings, Prints, and Graphic Design department. Stefan Sagmeister is one of the most exciting graphic designers working today. This design is part of a group of objects proposed for acquisition that represents some of his best work from the mid-1990s to the present (2000). Sagmeister was born in Austria and studied design in Austria and New York. He worked for Leo Burnett in Hong Kong and for M& Co. in New York before establishing his own New York-based firm in 1993. Since the mid-1990s, Sagmeister has been in demand as a CD cover designer due to his innovative aesthetic sensibility. His design work for the music industry has been recognized with both Grammy awards and design awards and is highly regarded by his clients (including Mick Jagger, Aerosmith, Lou Reed, Pat Metheny, and David Byrne) and the public. He has designed books with Lou Reed and David Byrne and, currently, is working on a book about his own work called Made You Look (to be published by Booth-Clibborn in March 2001). Even though much of today's graphic design is made via computer, Sagmeister deliberately emphasizes the physicality of the body—often through handwriting and mark making—to reinforce the humanity of the design process and the human scale of interpersonal communication. Design is created by and for people, not machines. This is most literally manifested in his AIGA Detroit poster design, for which Sagmeister carved the program information onto his body. Sagmeister’s designs also invite participation, such as encouraging AIGA designers to personalize a 1997 New Orleans conference poster. 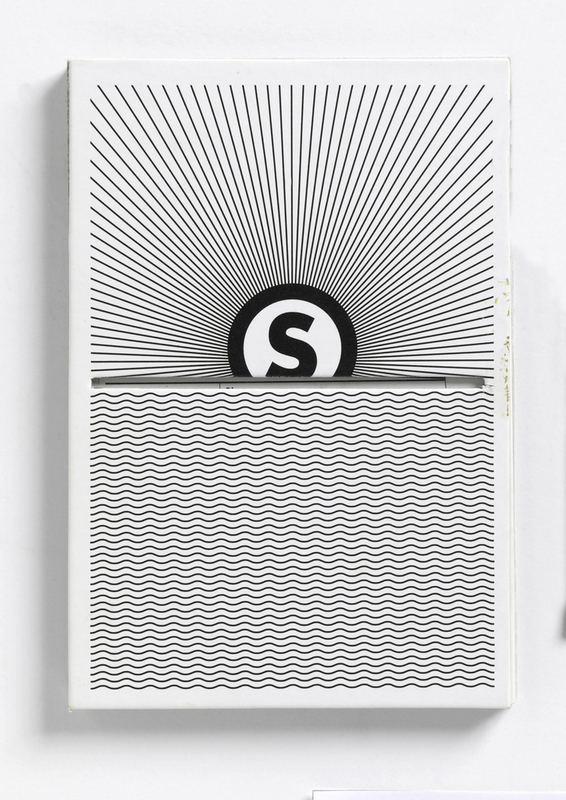 His business card designs are also engineered for interaction—whether pulling out a card from its op art sleeve or using a pin hole to mimic a photographer's selective eye. His CD designs often involve an invented game or symbolic system for the consumer to play and solve as they listen to the music, as represented in his work for David Byrne and Pat Metheny. The museum wishes to selectively acquire important design items to exemplify work by today's leading designers, particularly those who were represented in the museum's National Design Triennial in 2000. To demonstrate the variety of ways Sagmeister introduces a physical, personal, and interactive sensibility into his graphic design, this selection of his recent work is recommended for acquisition: two posters, a promotional brochure, three CD covers/packaging, two business cards, and a pop-up promotional postcard. Many of the pieces were exhibited in the Triennial. This object was donated by Sagmeister Inc.. It is credited Gift of Sagmeister, Inc..